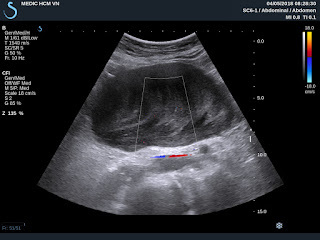 VIETNAMESE MEDIC ULTRASOUND: CASE 492 : APPENDICULAR MUCOCELE, Dr PHAN THANH HẢI, Dr TRẦN NGÂN CHÂU, MEDIC MEDICAL CENTER, HCMC, VIETNAM. CASE 492 : APPENDICULAR MUCOCELE, Dr PHAN THANH HẢI, Dr TRẦN NGÂN CHÂU, MEDIC MEDICAL CENTER, HCMC, VIETNAM. 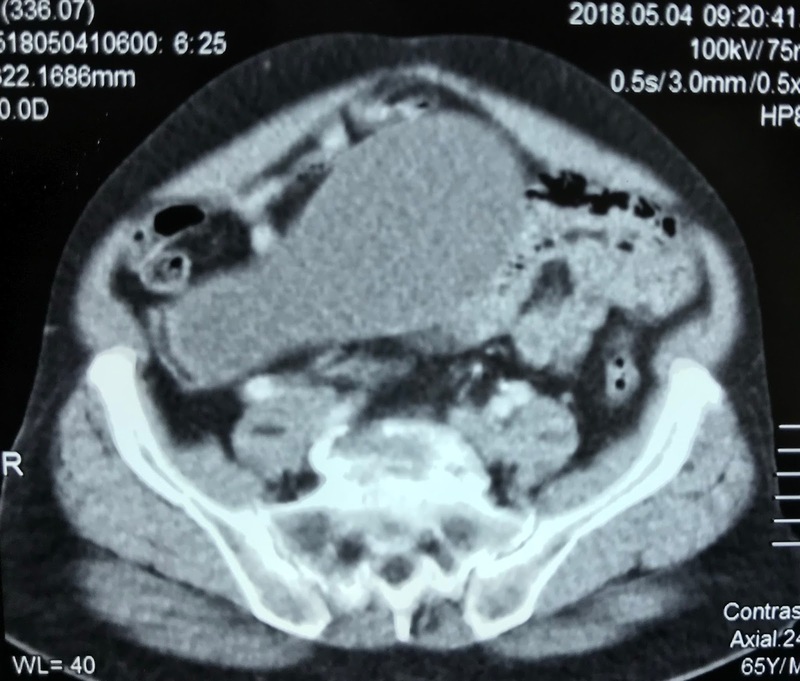 Man 65 yo with abdomen distention (photo). 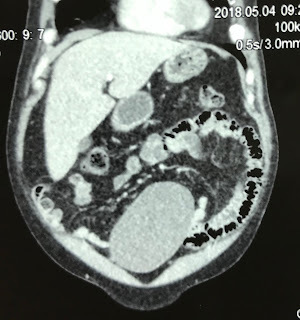 For 40 years he underwent a laparotomy in emergency by gunshot. 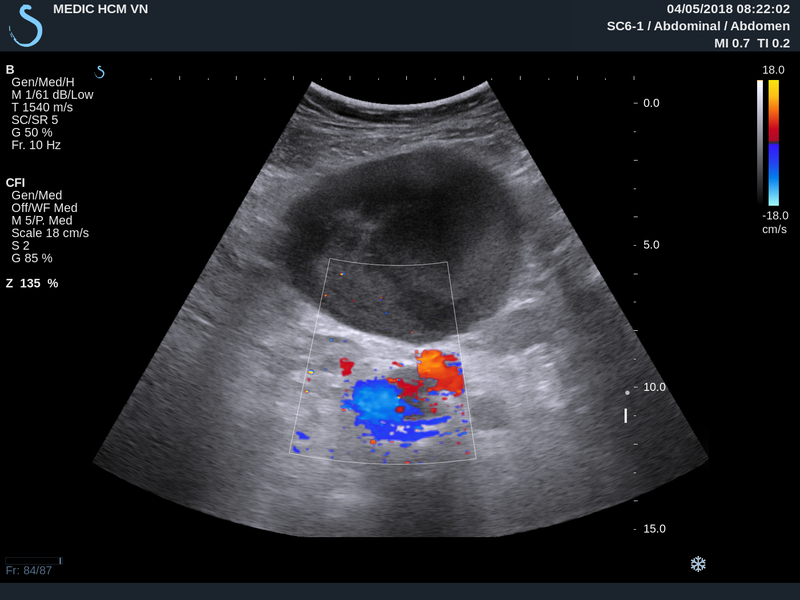 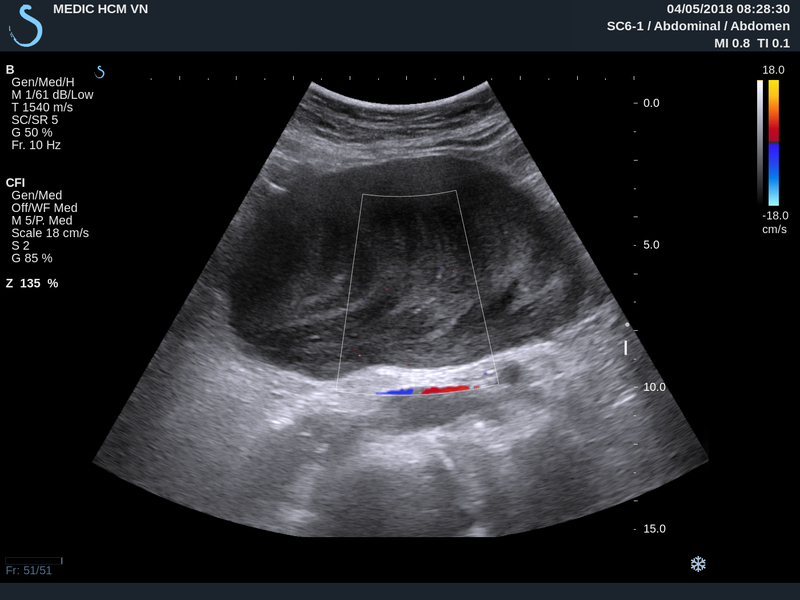 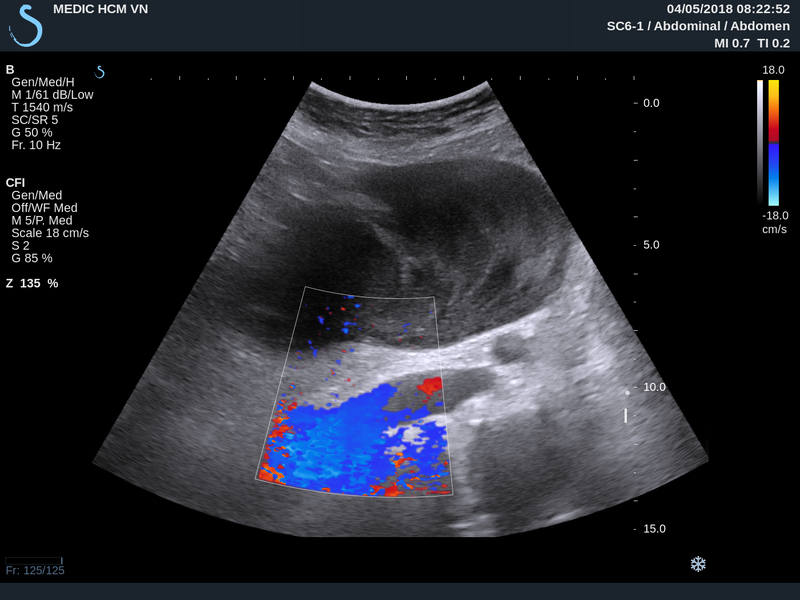 Ultrasound of abdomen detected at pelvis one round bordered mass, size of 20cm. 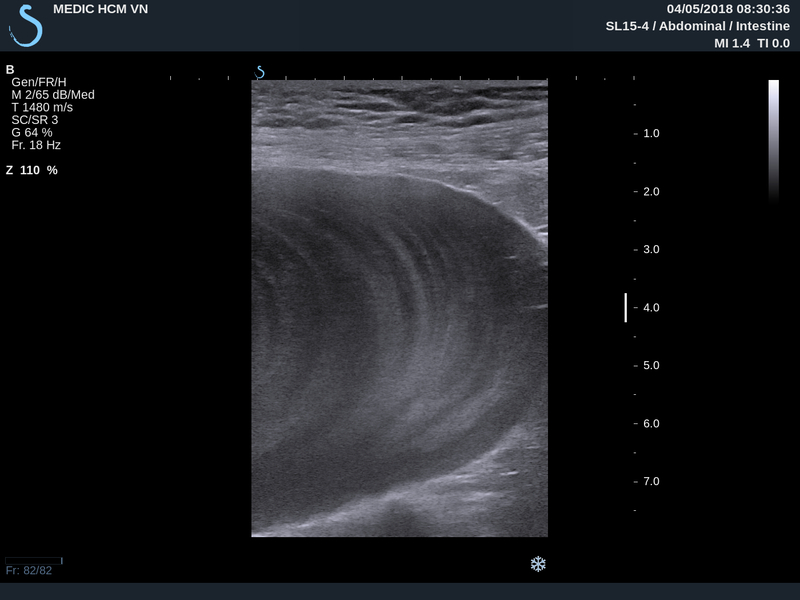 Its structure looked like cyst with many ring layers as an onion skin sign. 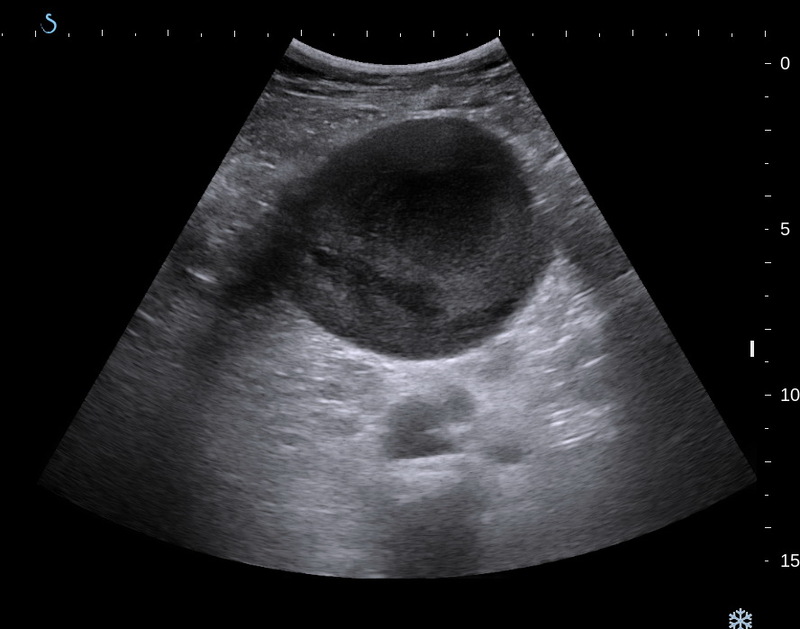 US 1: crossed- section at middle abdomen; US 2 : with CDI, mass no vascular inside; US 3: longitudinal scan over aorta; US 4: multiple ring layers as onion skin sign; US 5 : with linear probe. MSCT scan with CE : CT 1: this mass is cystic formation from the coecum; CT 2 : frontal view. 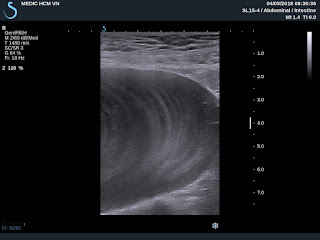 Appendicular mucocele was made for diagnosing of the pelvic mass. Operation removed one mass with mucus content from appendix. 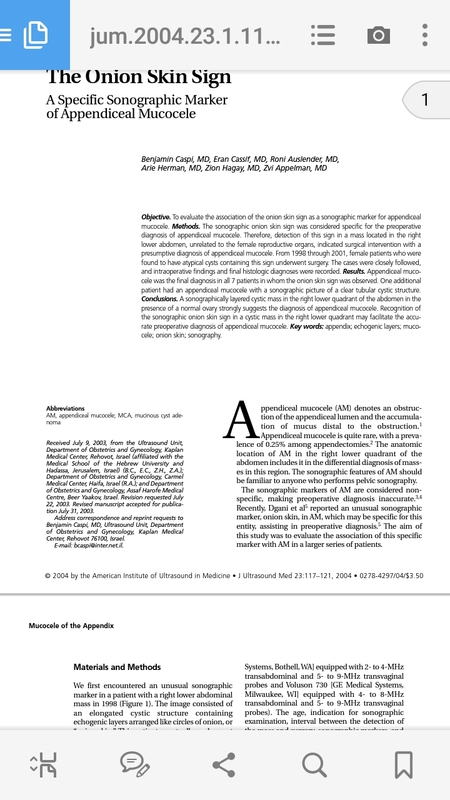 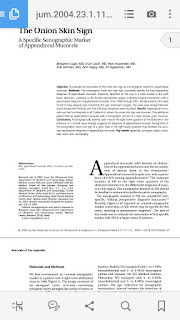 Microscopic report is mucineous cystadenocarcinoma.